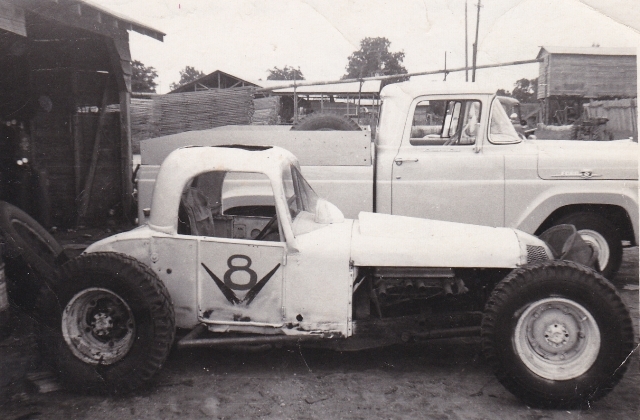 This car was built by Buck Ishee. This car is believed to have been sold to T. G "Blackie" Blackwell. Blackie replaced the front end and motor, painted and renumbered her to 76. She was driven by Mississippi racing legend Joe Caspolich of Gulfport, MS.